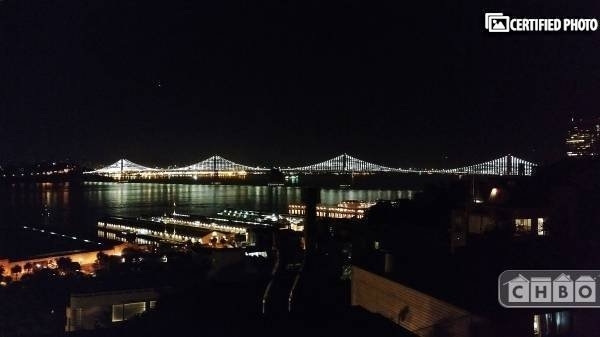 Rate is month by month. 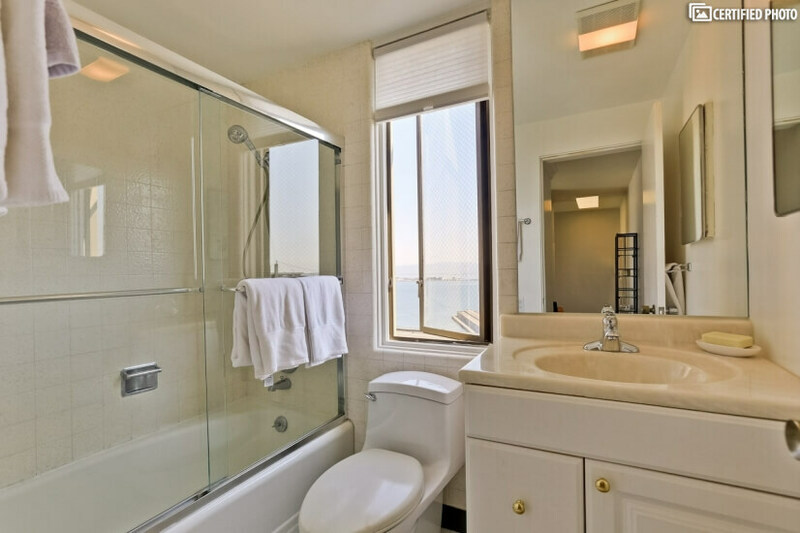 It is completely turn-key. 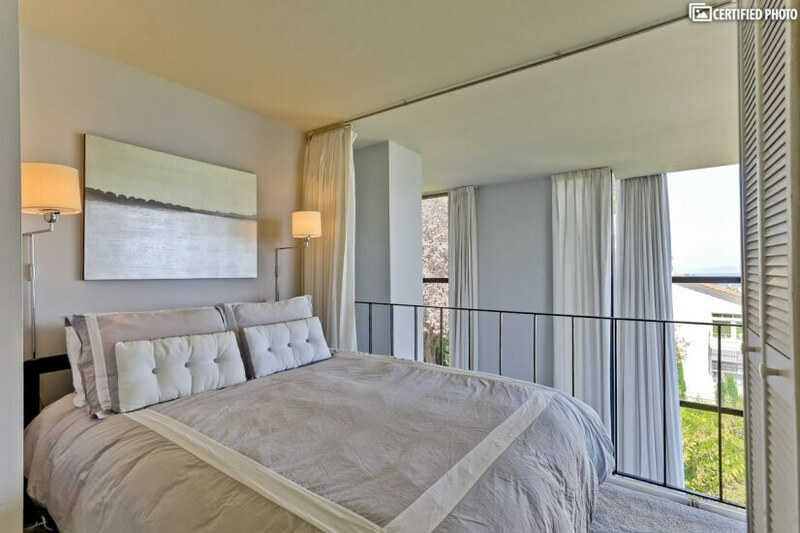 Fresh linens will be provided on a weekly basis. 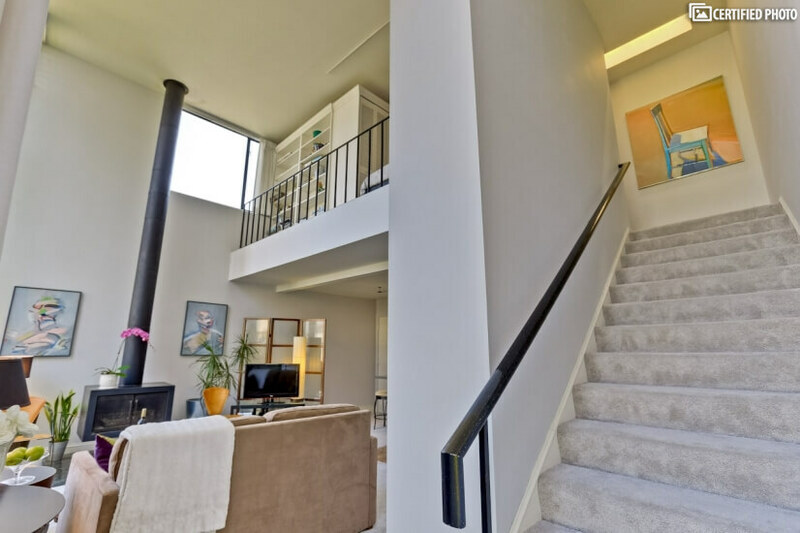 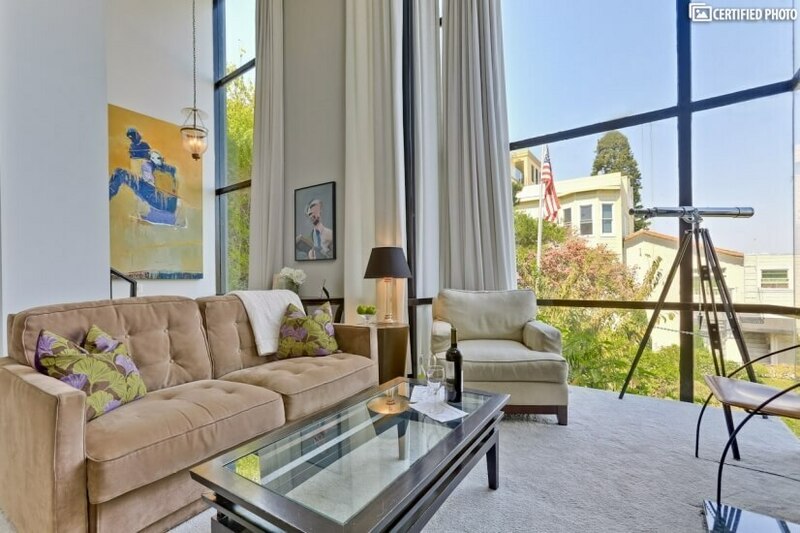 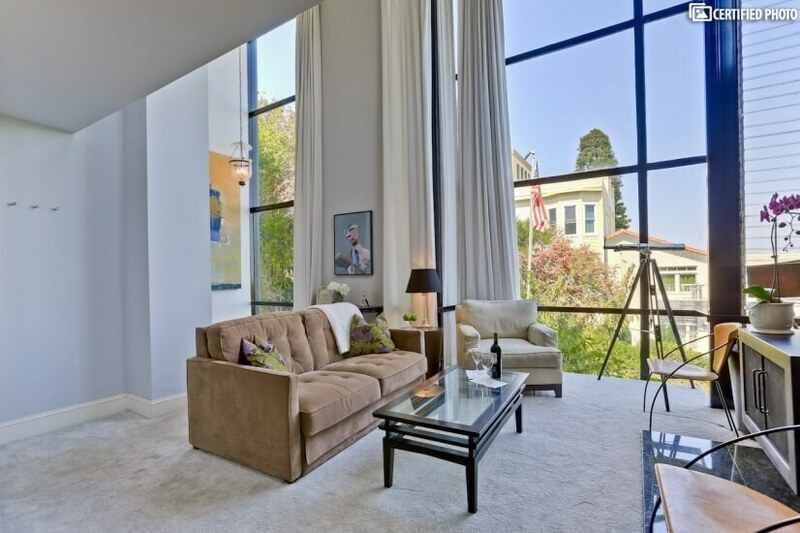 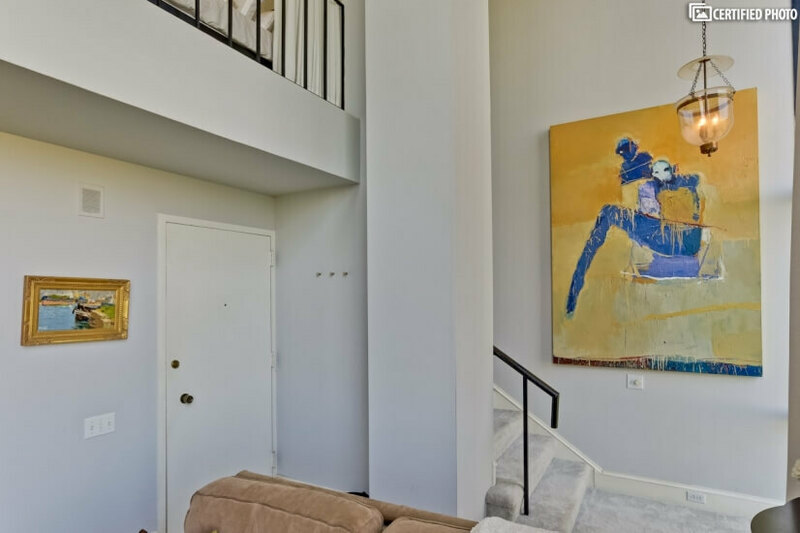 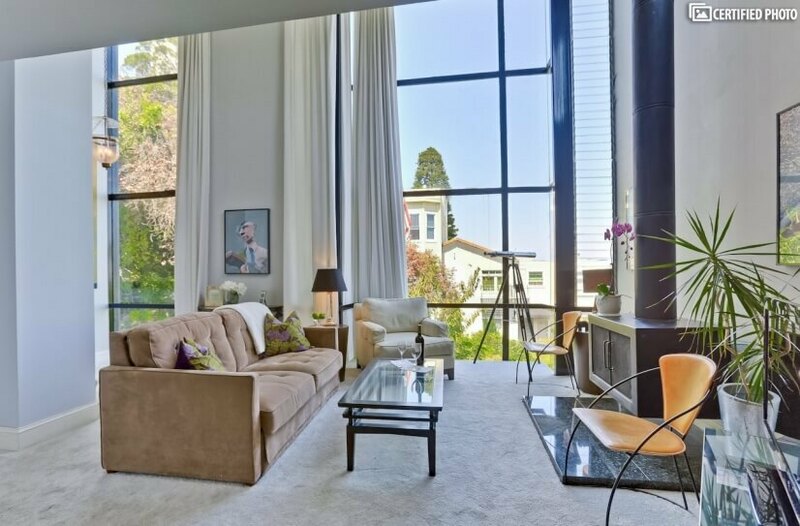 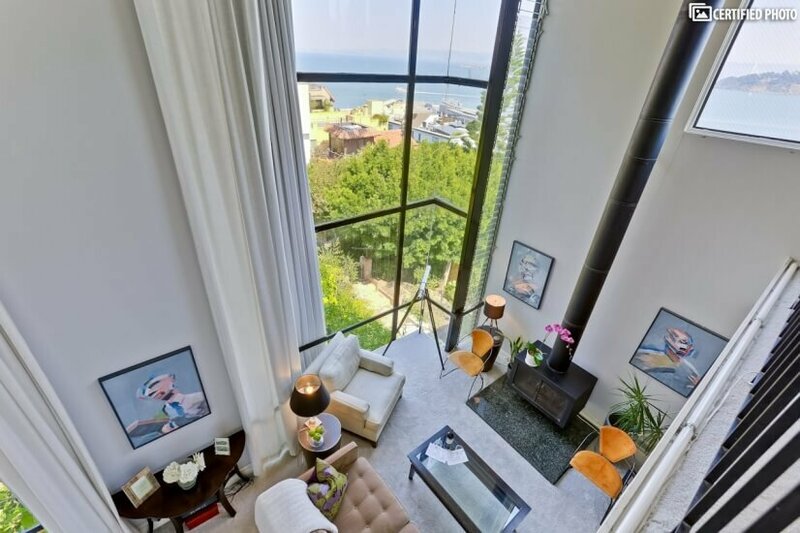 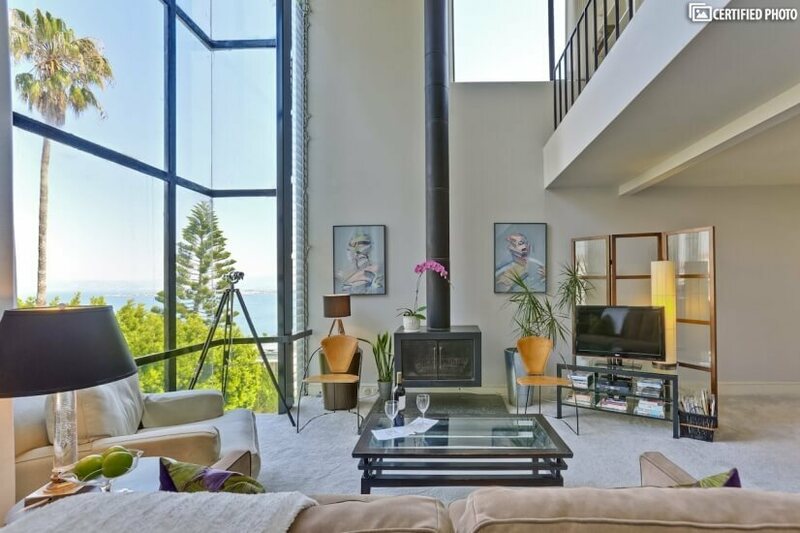 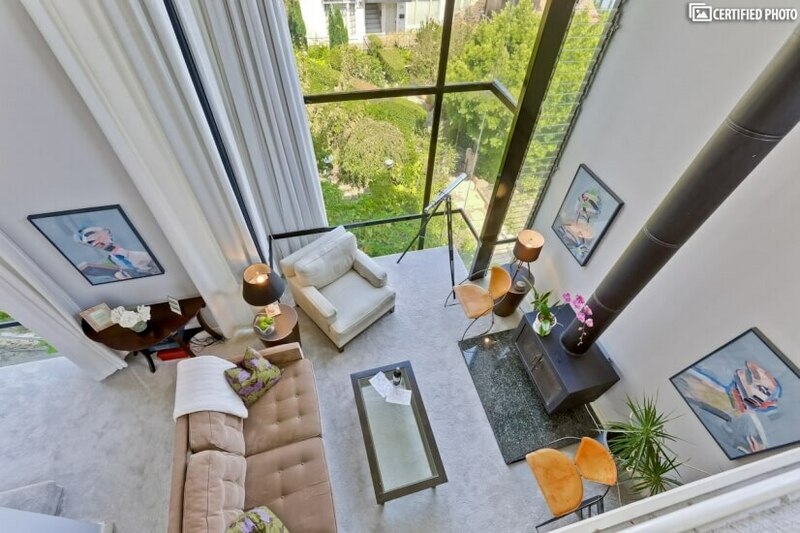 Two identical elegant executive apartments near the crest of Telegraph Hill give visitors an amazing view of San Francisco, either with a view of the famed Filbert Street Steps or a view of the Bay Bridge and the lights of San Francisco at night. 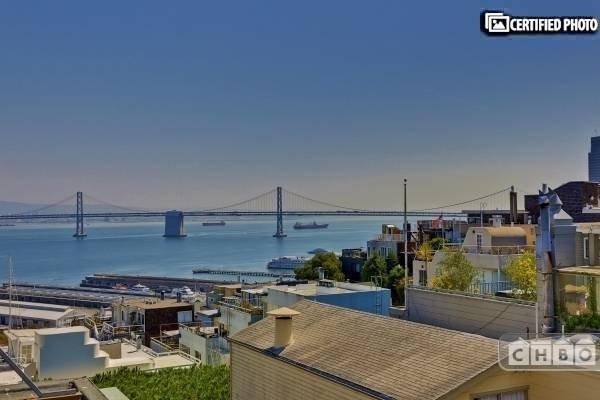 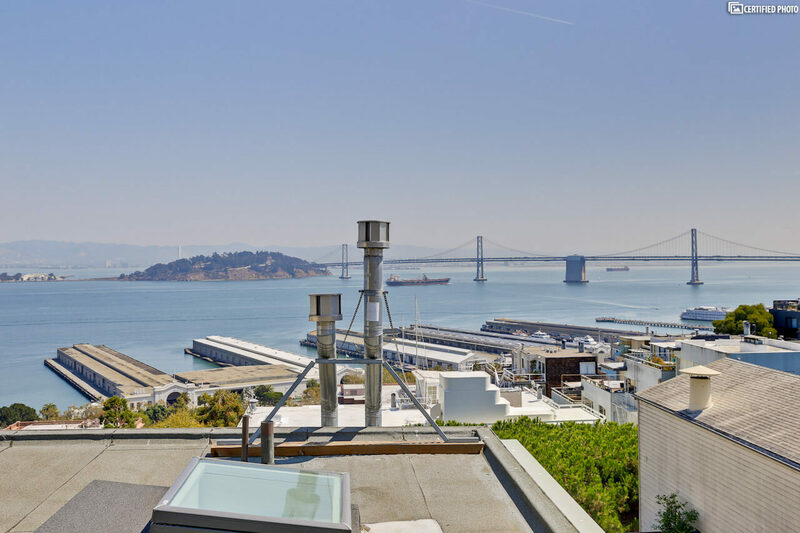 If you are looking for San Francisco furnished housing in the heart of the city, look no further than one of these two incredible apartments. 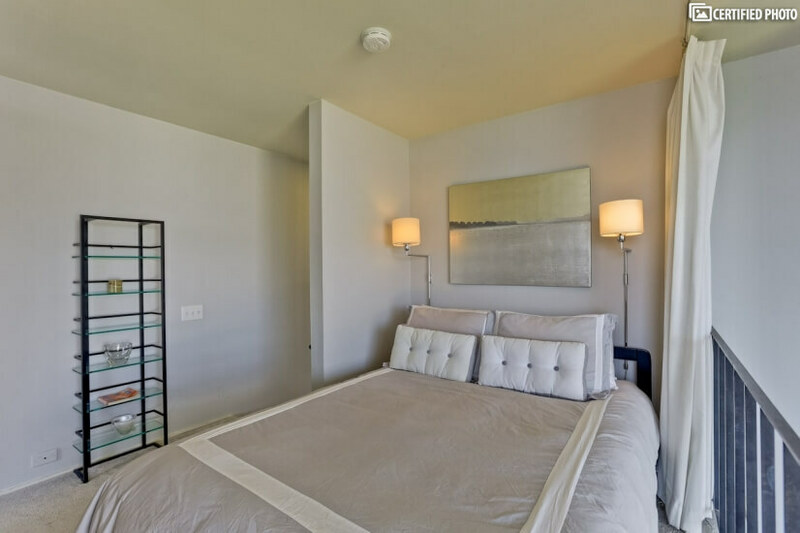 When you stay here, you’ll be just a 15-minute walk from BART, or you can catch the #39 bus just a few doors from your San Francisco corporate condo. 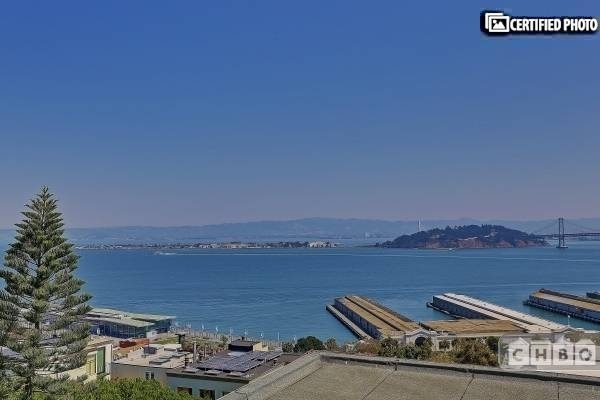 If you’re flying into San Francisco, whether you’re headed from SFO or the Oakland Airport, you’ll be just an easy train ride and walk away. 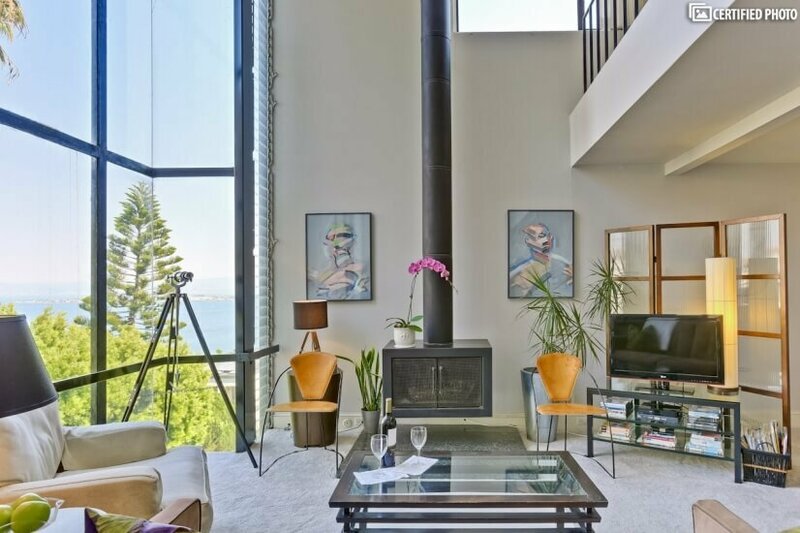 Staying in one of these condos means you won’t ever need to rent a car while you’re visiting San Francisco! 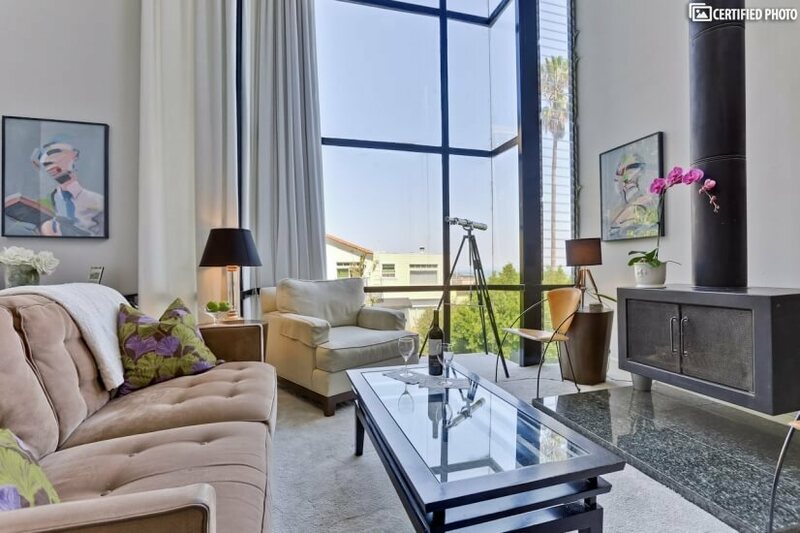 In each of these incredibly stylish apartments, you’ll enjoy high ceilings, and the bedroom overlooks the living room for an airy look and feel that’s luxurious and relaxed. 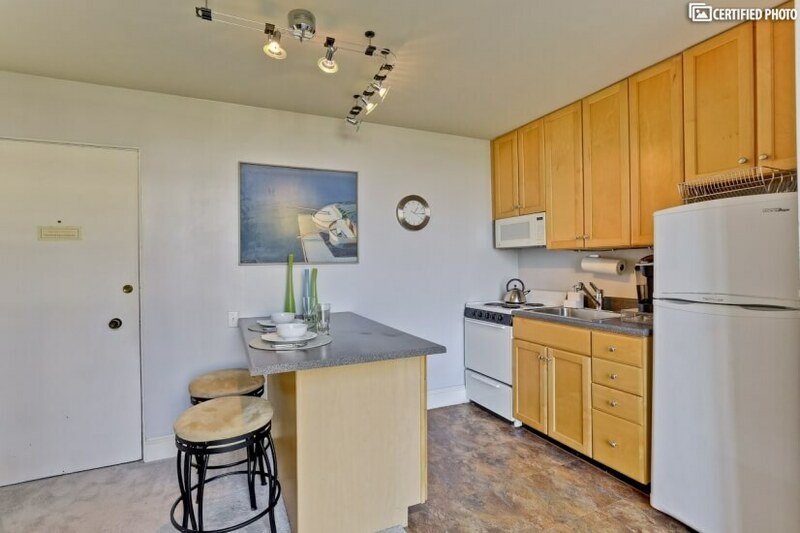 Plus, the full kitchen gives you plenty of space to prepare delicious and healthy meals whenever you want, and if you enjoy fitness, you’ll be in the right place, as well. 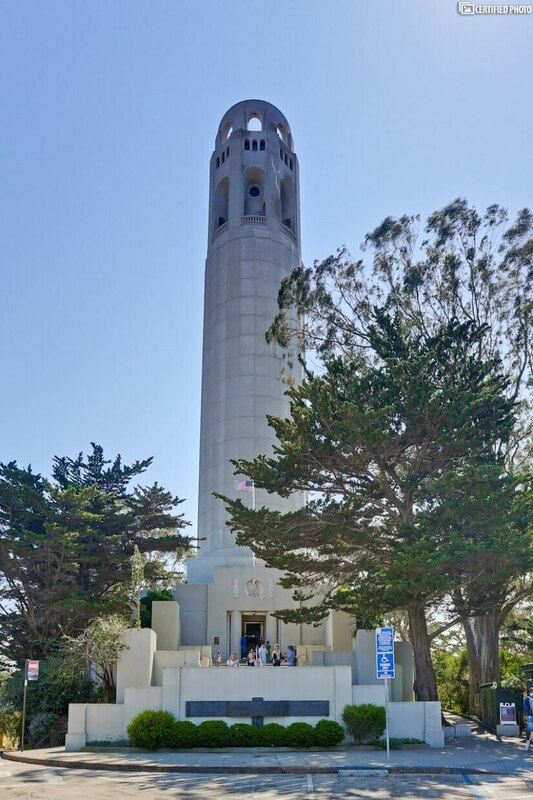 The nearest fitness centers are 24-Hour Fitness and Bay Club, but there are others within an easy commute, as well, and if you feel like getting some fresh air and stretching your legs, you can enjoy getting some cardio just by stepping outside the front door and exploring Telegraph Hill, North Beach and other sites. 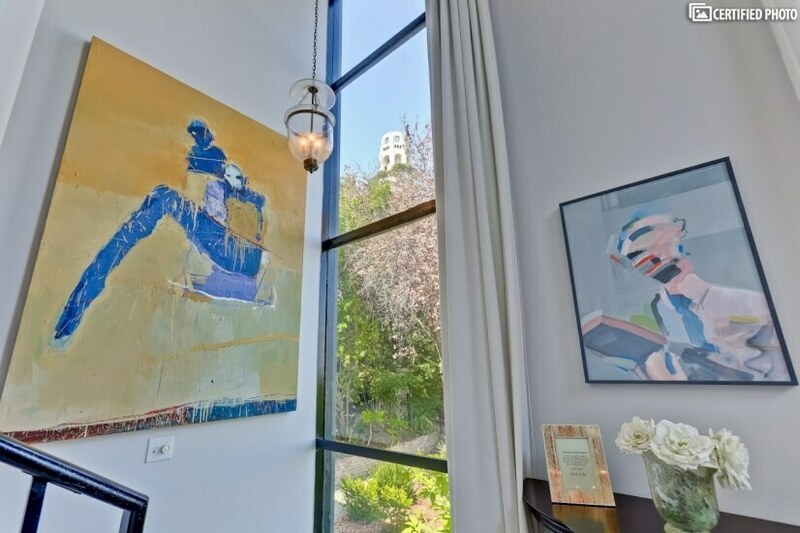 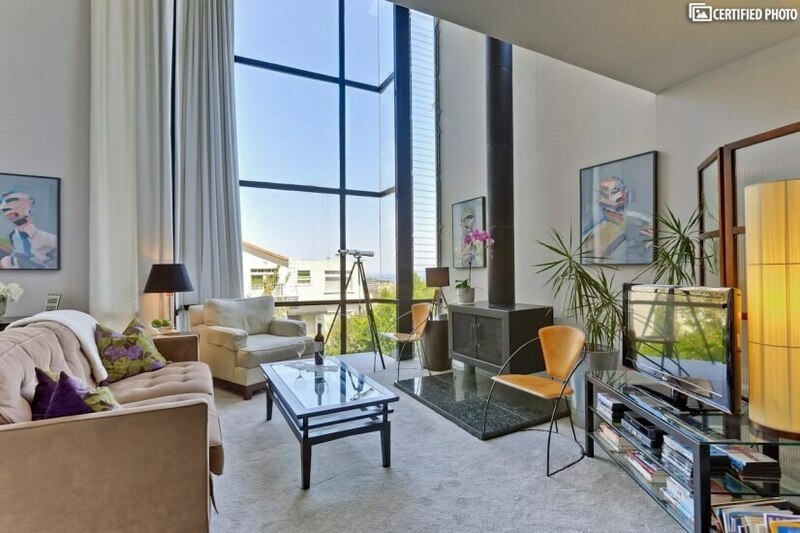 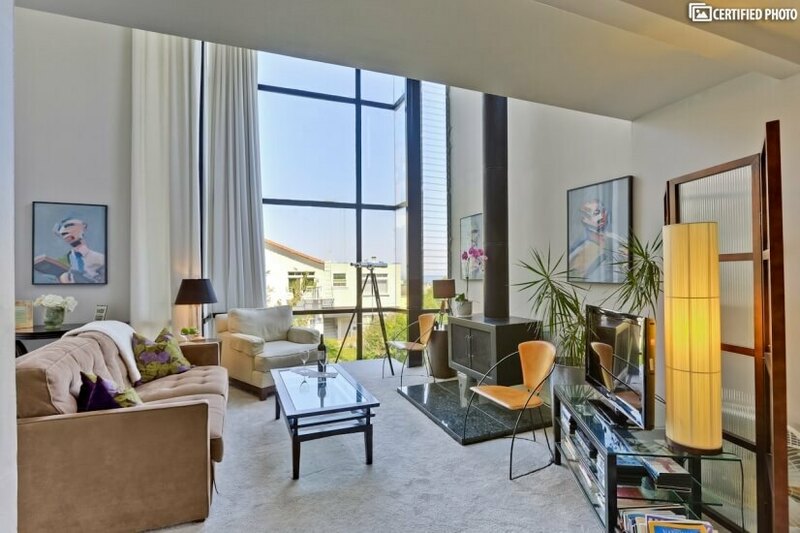 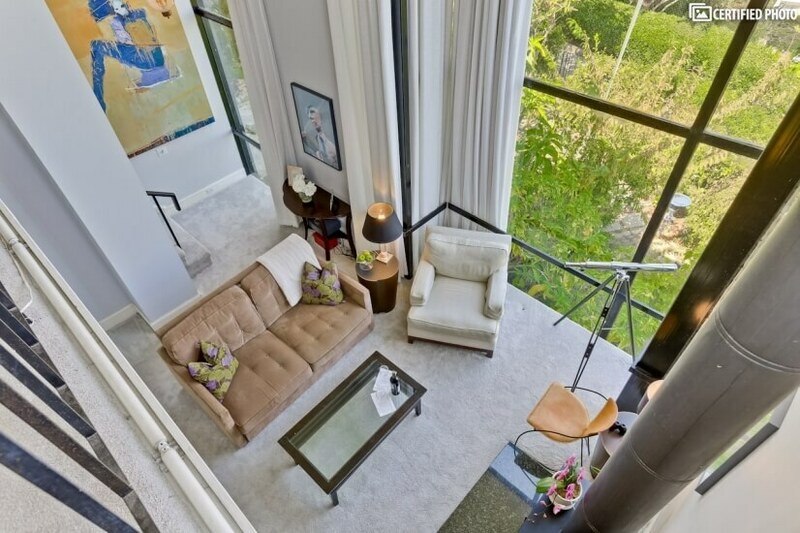 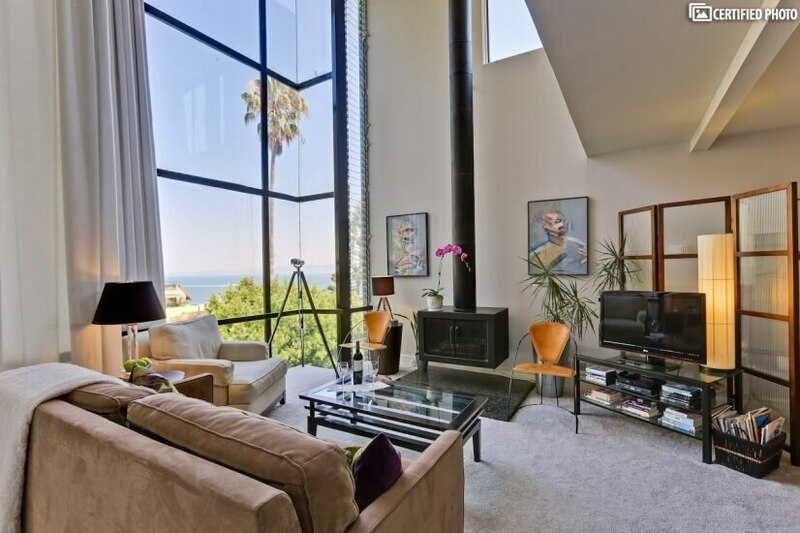 Each San Francisco corporate condo comes fully furnished with gorgeous modern art and stylish décor. 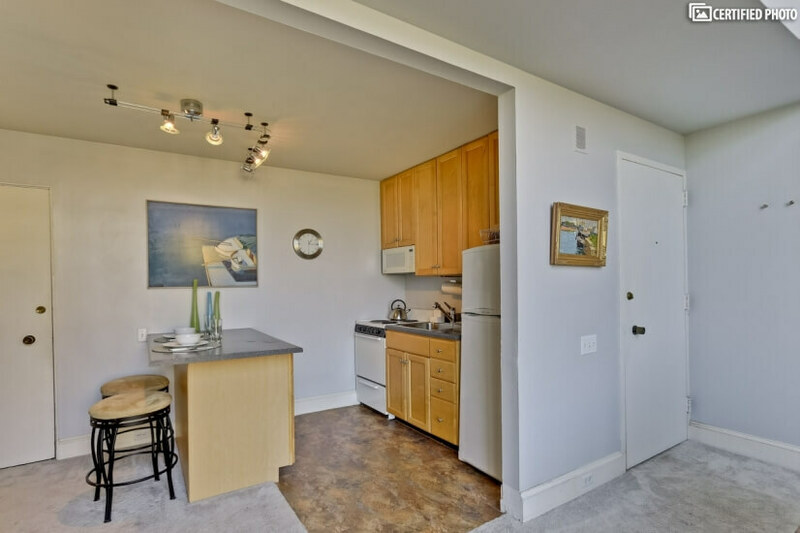 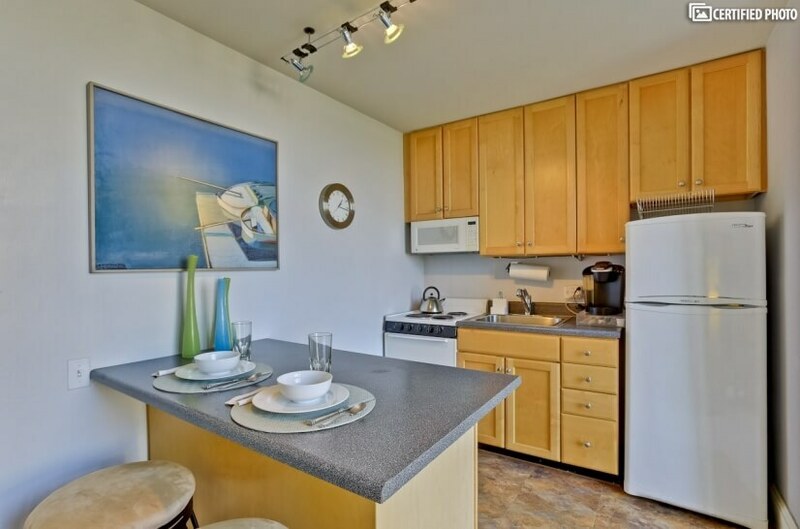 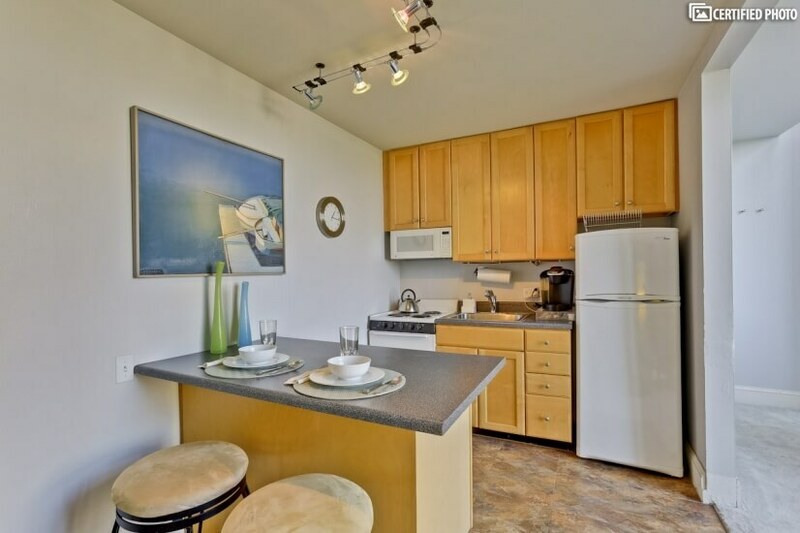 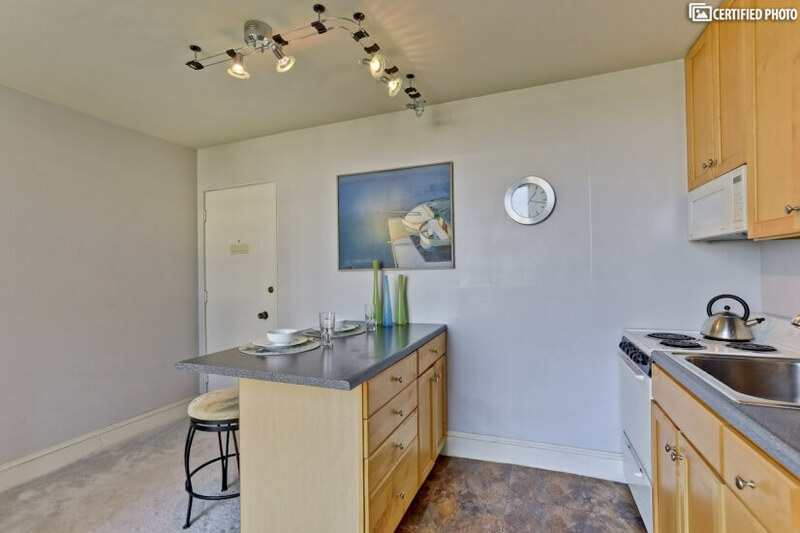 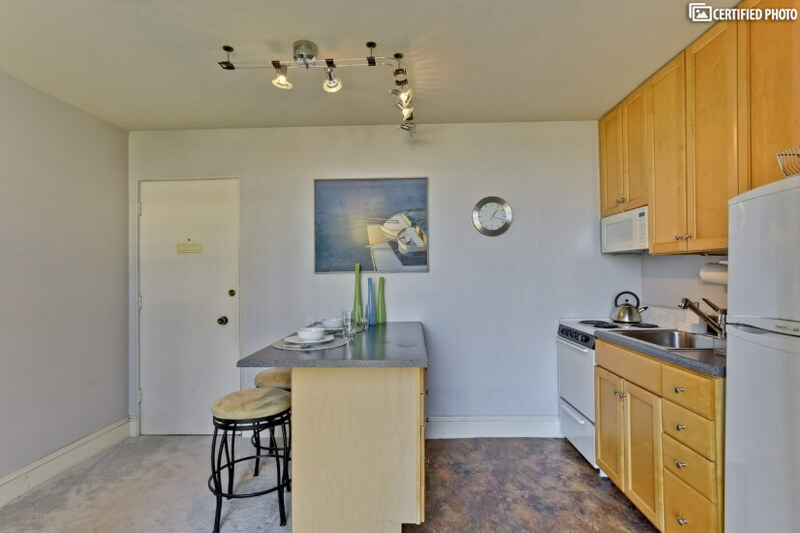 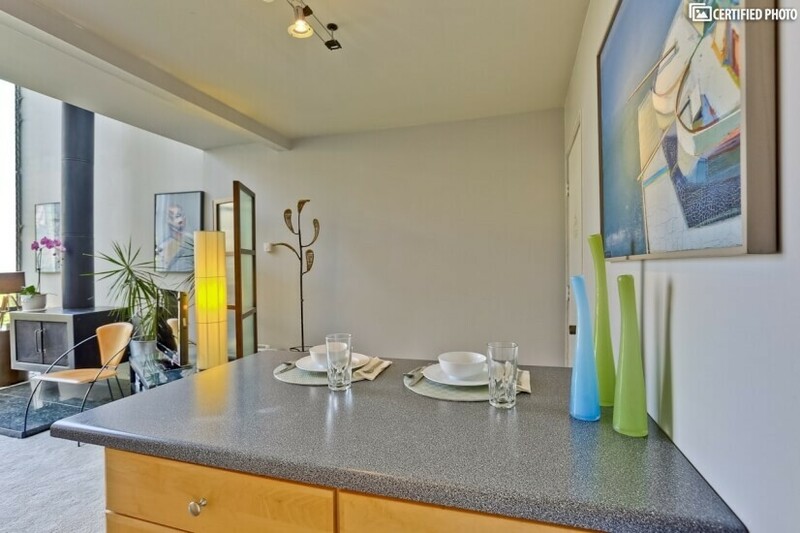 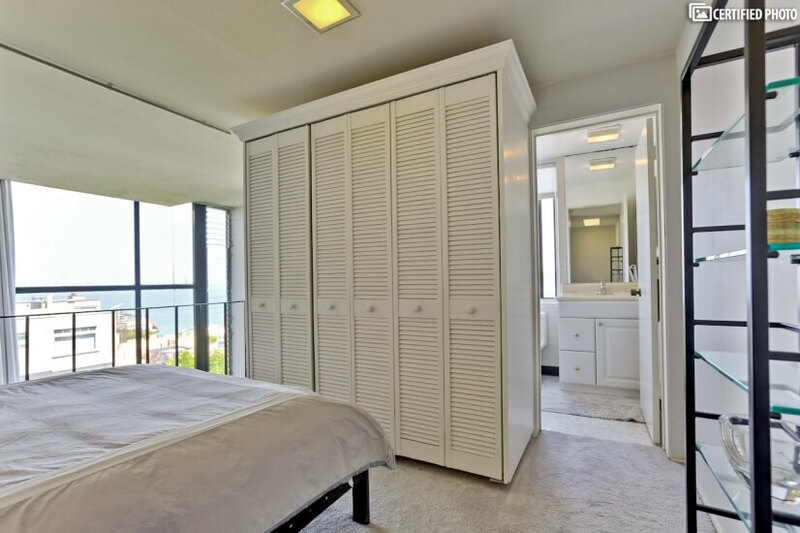 You’ll enjoy all the amenities you would expect from the finest San Francisco furnished housing, including a flat-screen TV and DVD player, fresh bed and bath linens, and a fully equipped kitchen (excluding a dishwasher). 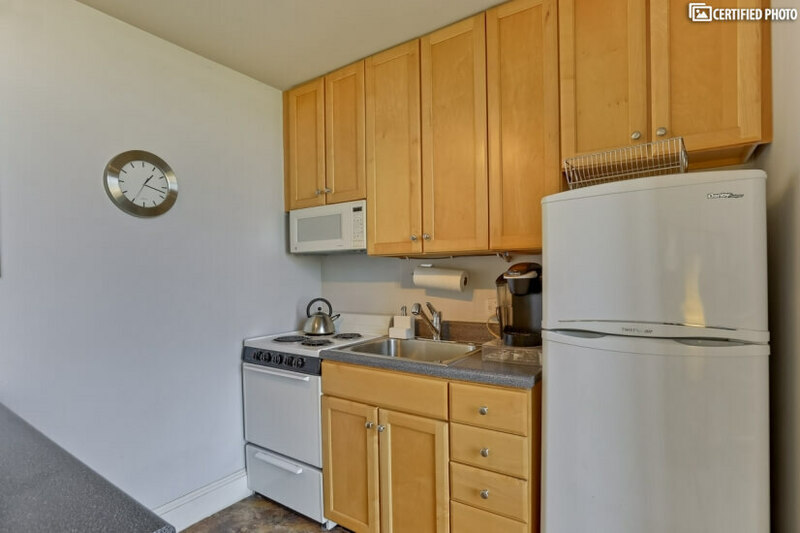 Laundry is easy, as well, as there’s a laundromat just a block away. 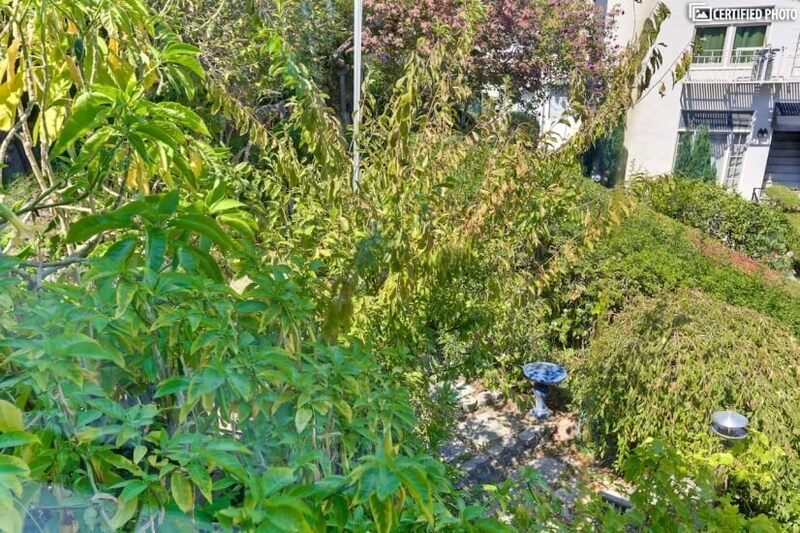 If you need parking, you can get a permit from the city for on-street parking, but the building does not have any parking of its own. 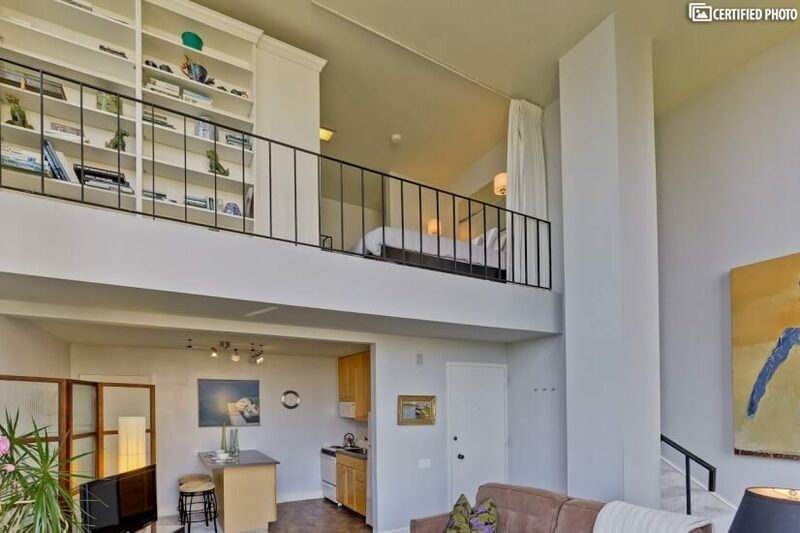 This is not a problem for most people staying in this San Francisco corporate condo, though, as the building is convenient to public transit and there’s no need to deal with traffic at all! 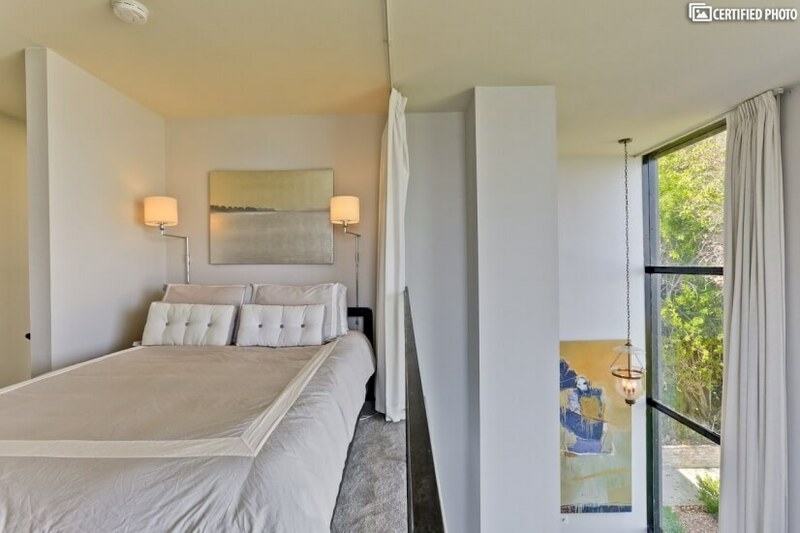 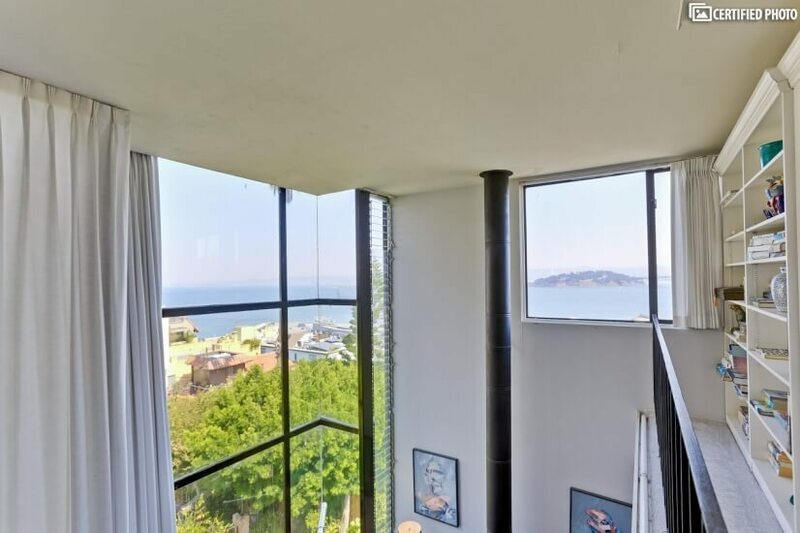 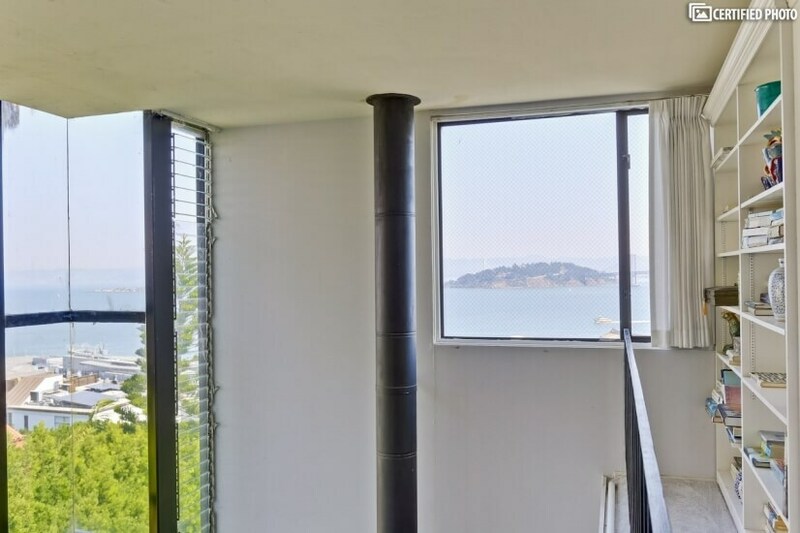 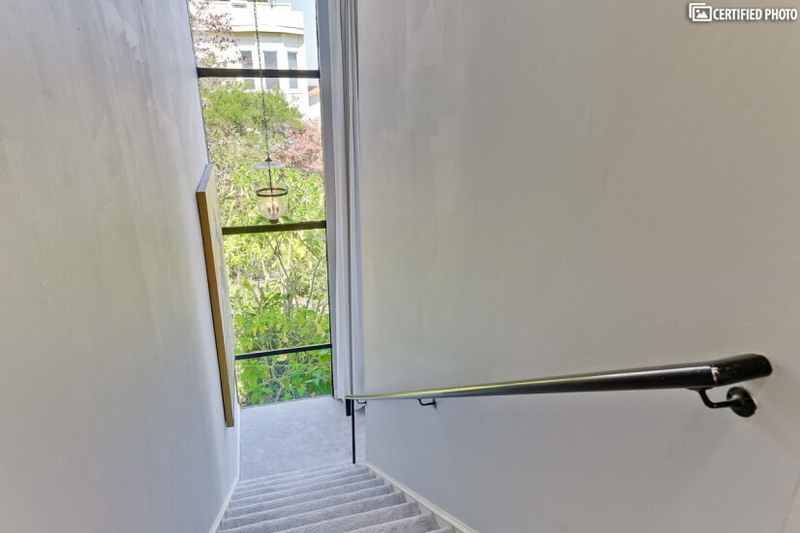 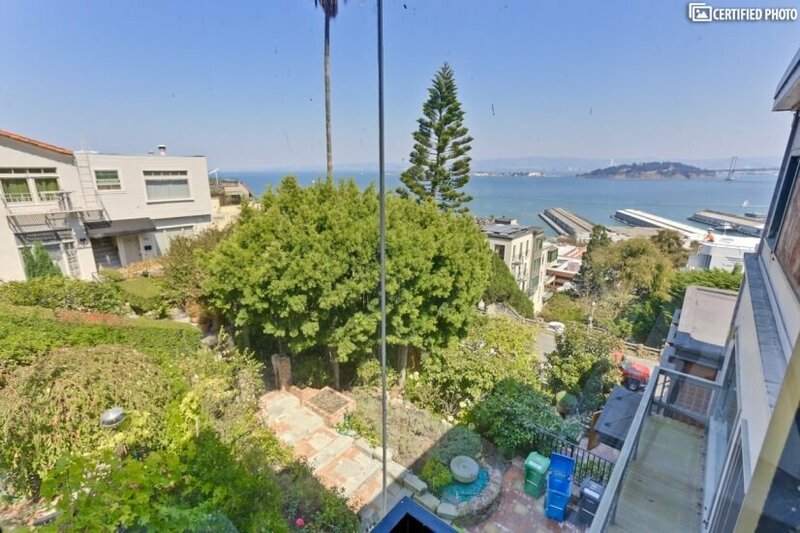 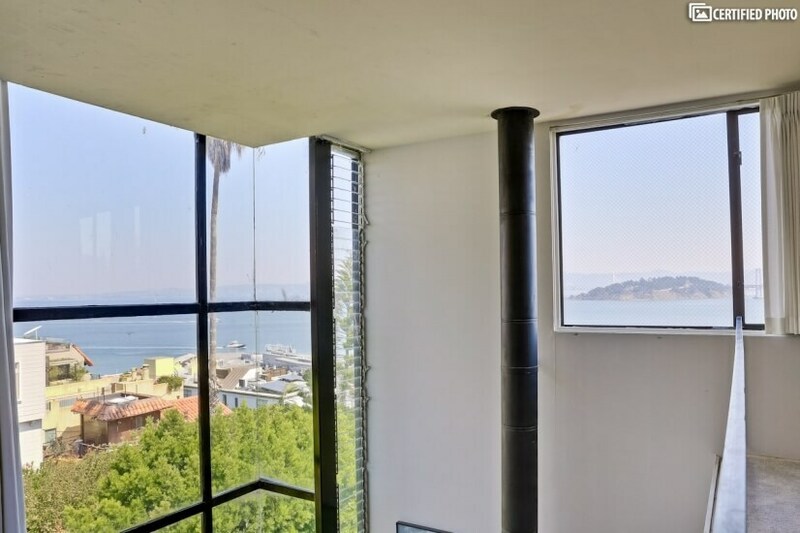 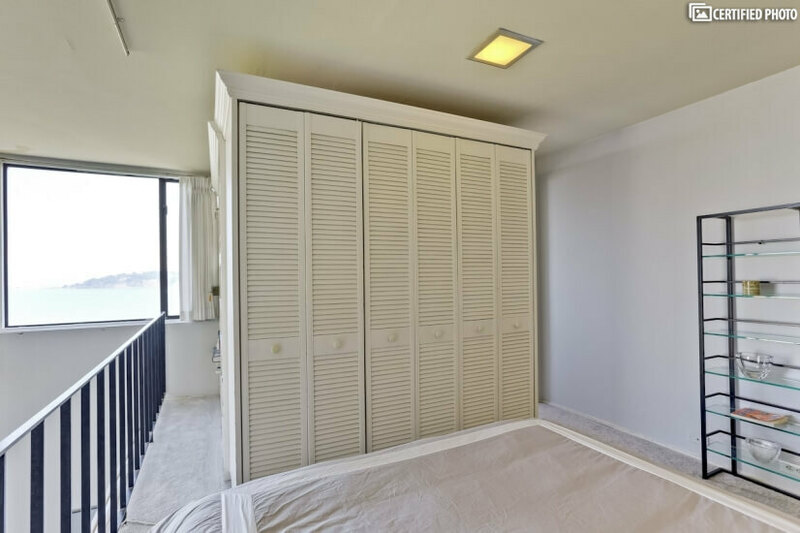 If you want to wake up in the mornings and see the famous Telegraph Hill parrots flying by your window, and you want to enjoy all that San Francisco has to offer in a luxurious apartment, then this is the place for you. 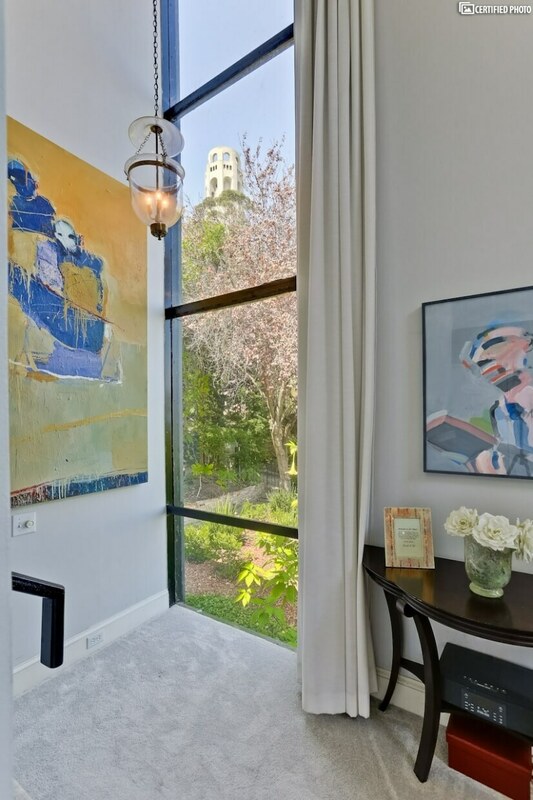 Explore gorgeous flower gardens, shops, and delicious dining nearby, or take the train or bus on a tour of San Francisco, and you’ll never have trouble commuting to any number of businesses throughout the city. 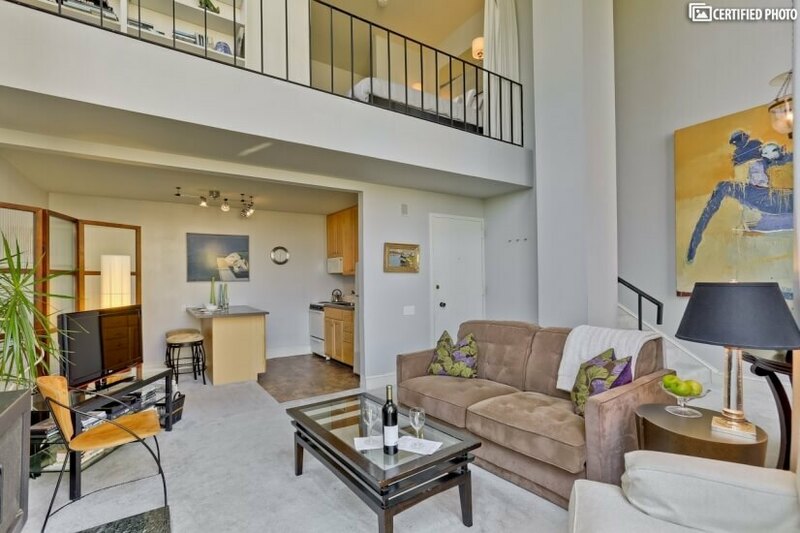 Contact the owner to find out more about these San Francisco furnished housing apartments and their availability, and book your stay on Telegraph Hill today!